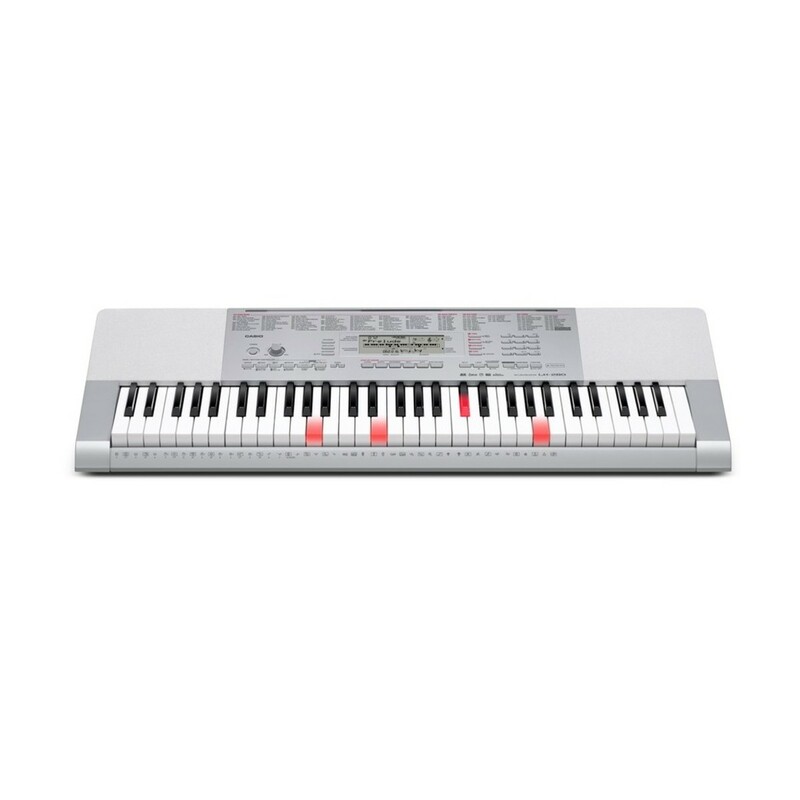 The Casio LK-280 Key Lighting Keyboard is ideal for beginners and karaoke functions. The Casio LK-280 features 61 touch sensitive illuminated keys showing the musician how to play step by step. 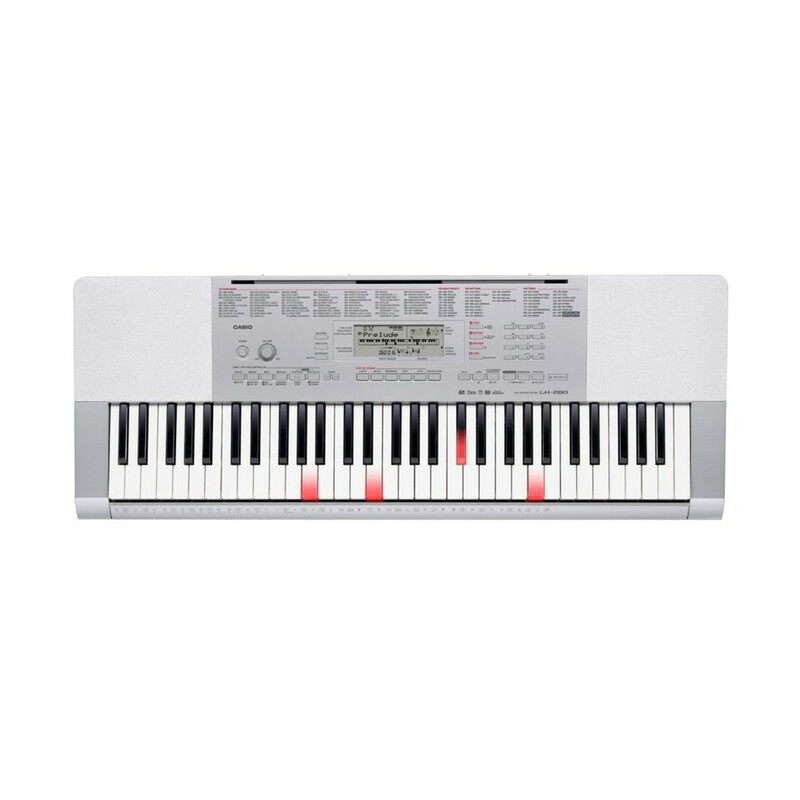 Featuring 600 AHL tones, this keyboard enables players to learn their first few pieces independently using the illuminated key system. The WK-240 includes 48 tone maximum polyphony providing plenty of margin to minimise the chance of notes being dropped when tones are layered. The LK-280 offers lesson functions and songs, allowing you to independently learn when away from your tutor. The Casio LK-280 keyboard gives you AHL sounds that sound better than ever. The 48 max polyphony means beginners have plenty of margin to play without notes dropping out when layered. The keyboard itself is easy to play and closely resembles an acoustic piano thanks to the touch response which means the player can add subtle nuances by varying the pressure applied to the keys. Add to this digital effects such as a great reverb for depth and richness, and the LK-280 has all you need to play great sounding music. Casio's Step Up Lesson feature is ideal for beginners wanting to master full songs and see real progress. The technique breaks songs up into shorter phrases providing the support early players need to develop. Simply listen to the song, watch the screen or lighting keys and then try and play the tune from memory. By mastering each little bit in this way, the full song won't be far behind! 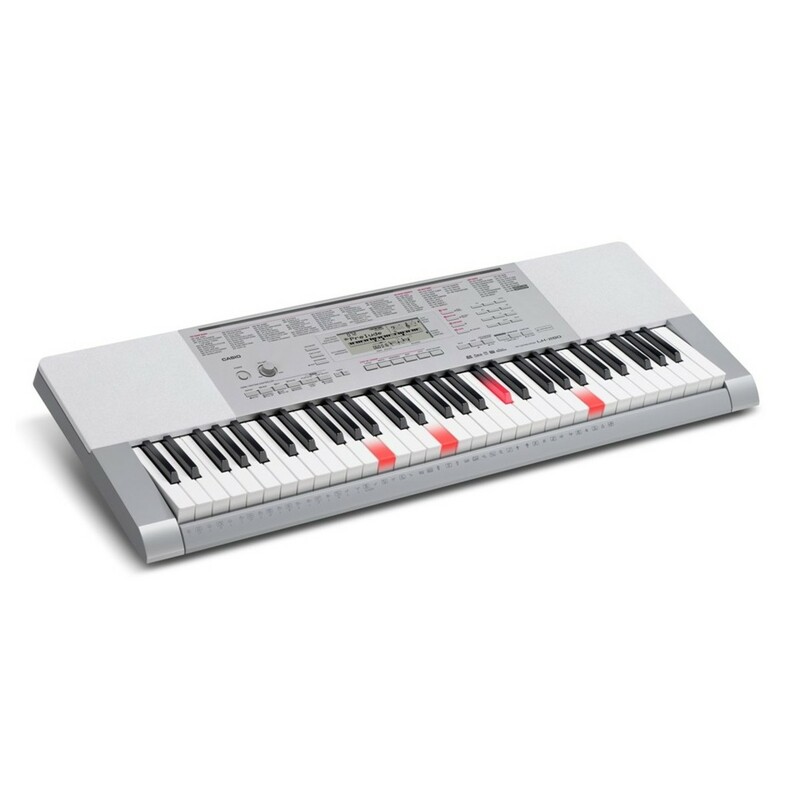 The Casio LK-280 keyboard has a host of entertainment features designed to make music more fun than ever before. Experiment by sampling a sound from a microphone and then play the sound on your keyboard or use them to compose your own music. Play the sample in different notes or add effects such as reverb and vibrato. If you have an MP3 or CD player you can connect it using the keyboard's AUDIO IN jack and play along with your favourite tunes or just listen using the keyboard's speakers. Or plug in a mic for your very own karaoke night with friends!